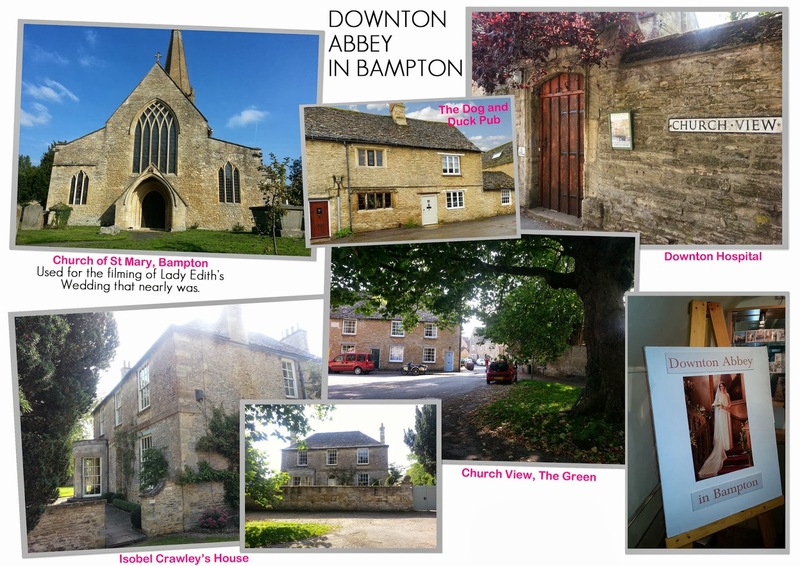 Today I spent a lovely afternoon in the pretty village of Bampton, Oxfordshire, taking a look at the outside location scenes of Downton Abbey. Being a Downton fan it was a must see, especially as it lies only thirty minutes from home. 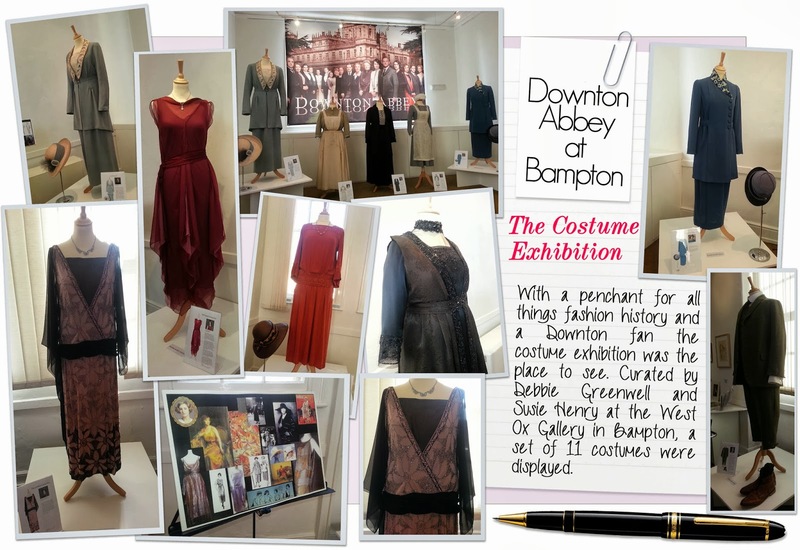 It was a pleasure to see how this Cotswold stone village has embraced the filming of the drama series, opening a costume exhibition and memorabilia display. The West Ox Art Gallery houses a temporary collection of 10 costumes, from the third series , varying from vintage garments which were sourced and repaired to direct copies of original dresses and outfits especially designed for the series. Beside each outfit a mood board is placed, showing the attention to detail. Unfortunately this exhibition closed today, although do keep your eyes peeled on the website as a second is planned. Afterwards I walked around the village to view the outside locations. You can see a selection of my photos below and on instagram.